It was a big win for the women of Bhutan as the country elected seven of the 10 women candidates who contested in the General Election of the Third Parliamentary National Assembly Election yesterday. The number is an increase of four from the last National Assembly Election. In 2013, of the 11 women candidates in the general election, only three got elected. 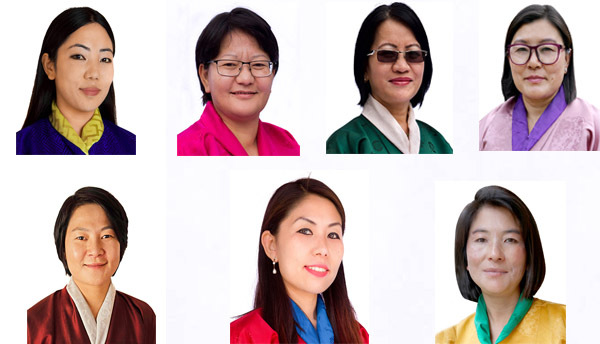 Dorjee Wangmo, Dechen Wangmo, Dil Maya Rai, Tshewang Lhamo and Yeshey Dem from DNT, and Tshering Choden and Norbu Wangzom of DPT will now join the two eminent and two elected members of the National Council as women representatives in the Parliament of Bhutan. For DNT, it’s a 100 per cent victory with all its five women candidates winning in their constituencies. While the election commission made no particular mention of women candidates at the official declaration of the results, the President of BKP, Neten Zangmo, the lone woman party president who led her party to the primary polls last month, was quick to congratulate the seven women candidates who got elected. 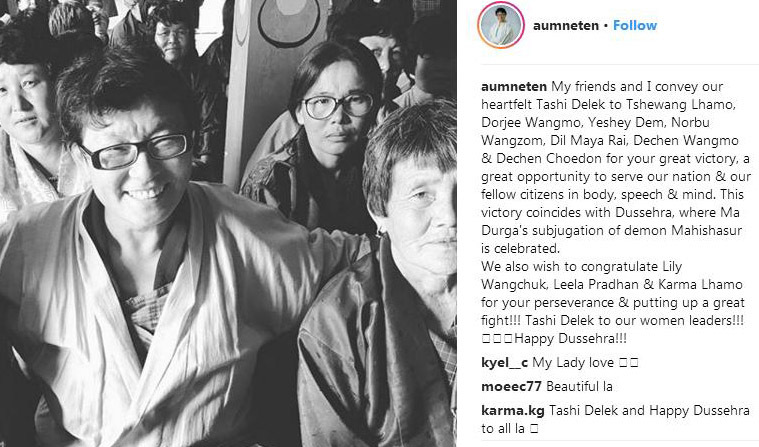 Shortly after the declaration of the provisional results yesterday, Neten Zangmo took to Instagram to offer her “heartfelt Tashi Delek” to the women MP elects. An increase in the number of elected women representatives, even if it is just by one or two, is a big achievement for a country like Bhutan that suffers from poor women representation in the decision making spheres. Women leadership remains poor across sectors with the situation particularly dismal in the parliament. Lack of trust in women leadership continues to be one of the reasons why only few women make it to the positions of importance. Stereotypes around gender roles shape peoples’ perception about women’s ability to take on positions that deviate from their conventional role of a home maker. While it might take some time for Bhutan, or perhaps another era, to see a more gender representative parliament, every single win is a step closer to achieving this goal. The 2018 National Assembly Election started with 18 women candidates in the four political parties of BKP, DNT, DPT and PDP. After BKP and PDP got ousted in the Primary Round, the 10 women, five each from DNT and DPT, were among the 94 candidates who contested for a seat in the National Assembly.